ABOUT THE CUSTOMER: In 1898, Mary Kimball Morgan founded The Principia as a school for Christian Scientists, a place where students could receive an outstanding education in an environment that fosters sound moral values and spiritual growth. Principia now encompasses two campuses—Principia College in Elsah, Illinois and Principia School for pre-K to grade 12 in St. Louis, Missouri. Principia students, faculty, and staff come from many different countries and an even greater variety of backgrounds. The Principia is an educational institution encompassing two campuses - Principia College in Elsah, Illinois and Principia School for pre-K to grade 12 in St. Louis, Missouri. With such a big student community, there is always the challenge of identity management in ensuring that the students have secure access to the school’s IT resources. But, no aspect of identity management has a direct impact on the end-users as password management does. While students who forgot their passwords suffered the unavailability of resources, the IT staff of The Principia bore the brunt of handling excessive password reset requests. They immediately started looking for a self-service password management solution, which offered a secure ‘Do It Yourself’ password reset and change password option for the students. “We needed a way for our students to change and reset their password with secure identification”, said Robert Peterson, Technical Support Manager at The Principia. 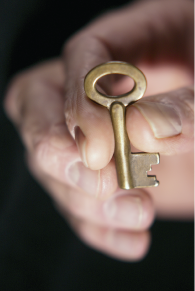 The Principia evaluated many self-service solutions to tackle the password management problem. More importantly, they were looking for a self-service solution that is easy to deploy, highly secure and customizable. 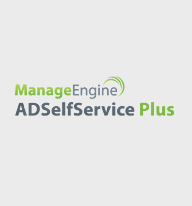 Being a patron of ManageEngine’s ADManager Plus and ServiceDesk Plus products, they came to know about ADSelfService Plus – the web-based, self-service, Windows Active Directory password management tool. Having had a good experience with ManageEngine products and its support staff, The Principia eventually decided to go with ADSelfService Plus. The Principia wanted an easy to deploy tool that didn’t involve numerous steps of configuration at their end. Most of the tools evaluated by them required a modification to the Active Directory Schema, an aspect that they did not relish. ADSelfService Plus on the other hand doesn’t require any modifications to Active Directory and can be deployed in minutes and supports multiple domains. The software also supports complete rebranding of the application to match customer’s requirement. Various visual elements of the tool like logo, browser title, font type & size, theme, messages displayed in the password reset and account unlock pages, etc., are completely customizable to suit the customer’s business environment. With its rich set of features, simple deployment mechanism and a highly secure ‘SMS/Email based Two-Factor Authentication’ for identity verification, ADSelfService Plus ticked all the boxes that The Prinicpia wanted in a self-service password management tool. After deploying ADSelfService Plus, The Prinicpia realized the benefits of a self-service password management tool immediately. A number of students enrolled with ADSelfService Plus and started using the tool for resetting their forgotten passwords. As a result the number of password related calls made to the helpdesk was drastically reduced. A relieved Robert Peterson said, “We have had almost 60% enrollment with ADSelfService, which is a good turn-out when asking students to register for anything. Some have already taken advantage of the tool”. 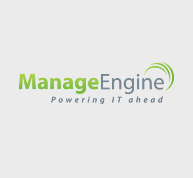 ManageEngine ADSelfService Plus is a secure, web-based password reset program for domain users to perform self-password reset, self-account unlock and self-update of personal details in Active Directory. It helps on a large scale to eliminate the leading source of helpdesk calls and associated expenses by automating password resets and account unlocks thereby optimizing employee productivity. Learn more about ADSelfService Plus from our website.